My boys have been out of school for about a week now. 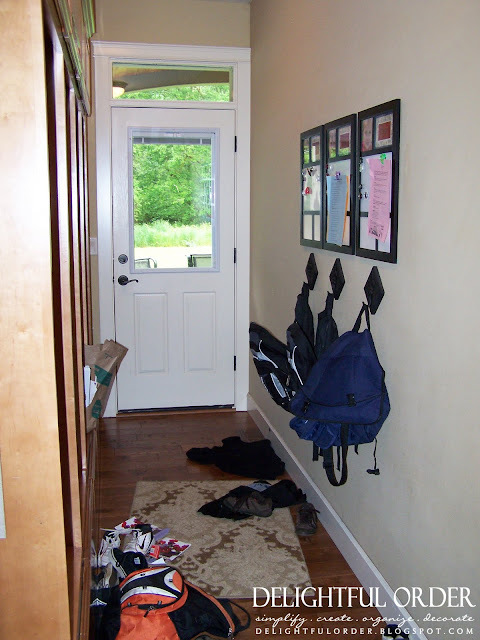 When three boys with backpacks and bags FULL of paper, books, school supplies and such come home it can be a LOT. A LOT of mess, that is!! 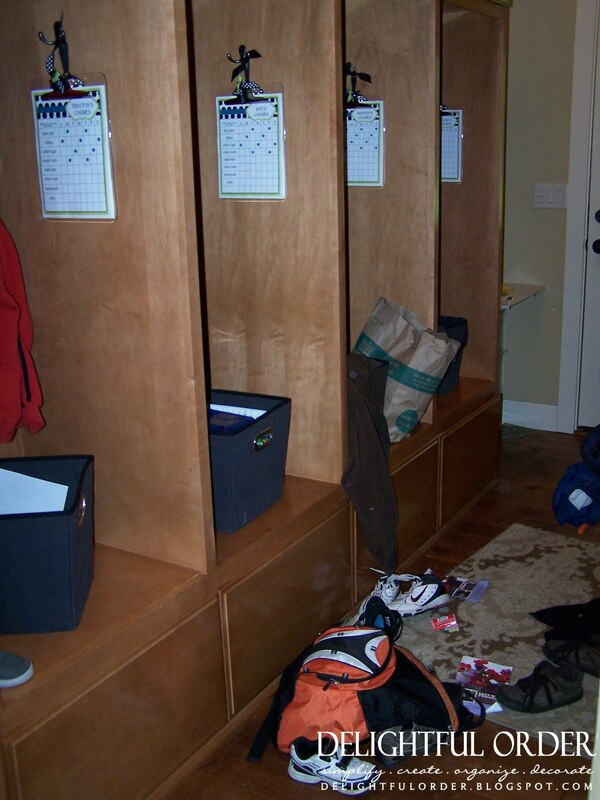 My boys literally dumped it all into their back entrance cubbies. Some of it ending up on the floor. BUT ummm, yeah, I can only handle this for about a day, at the MOST. See what I mean? These bins are large too, so that means there is a LOT of stuff in them. 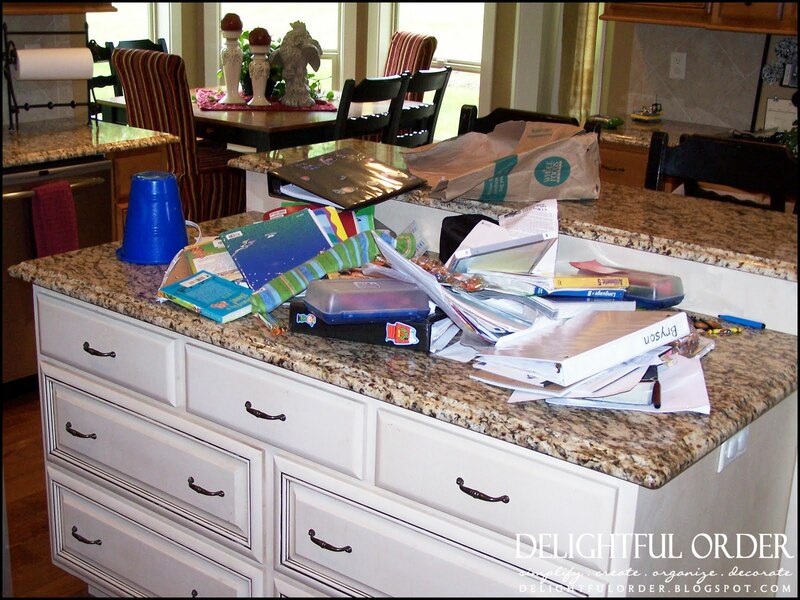 So I dumped it all onto my kitchen counter. By doing this, I'm forced to go through it, because there is NO way I can leave my counter like this ;) To get organized and clean up a space, often times it becomes quite dis-orderly, BEFORE it becomes orderly. See the two garbage containers? I threw out a BUNCH! you just can NOT keep it all. I created piles of "like items" and then decided what to do with it all. 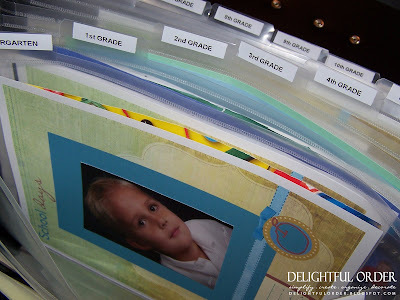 Memories worth keeping got filed into each of my boys school paper file boxes. 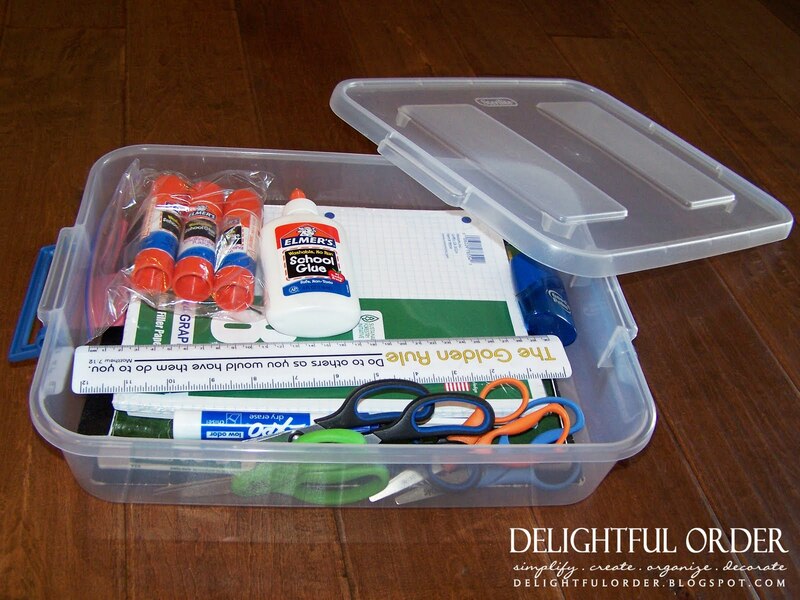 Having these file boxes finished, made the job of organizing their paperwork SO much EASIER! I simply slid the papers behind the grade and closed them up. 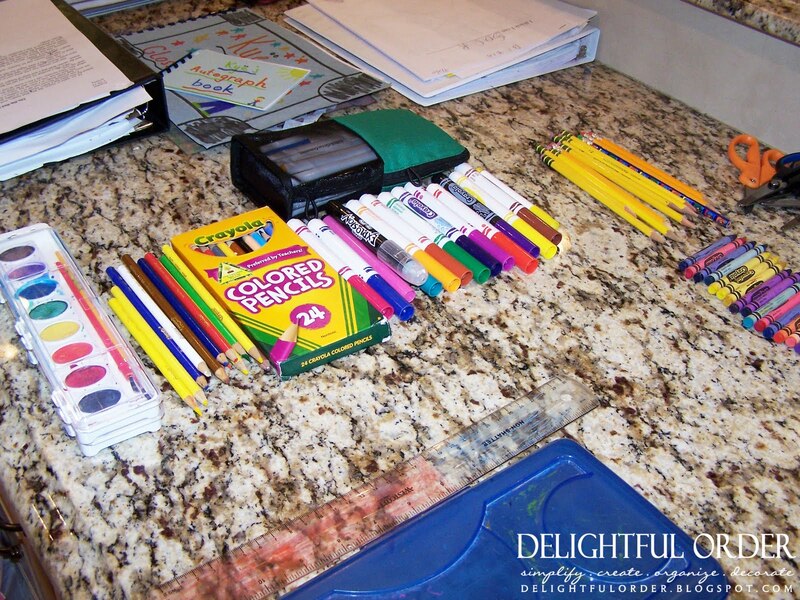 Simple as that, which is what I LOVE - Quick and EASY organization. and I decided that when I'm out and about this summer, I'm going to pick up things that I know will be on their list for next year and add it to the bin. 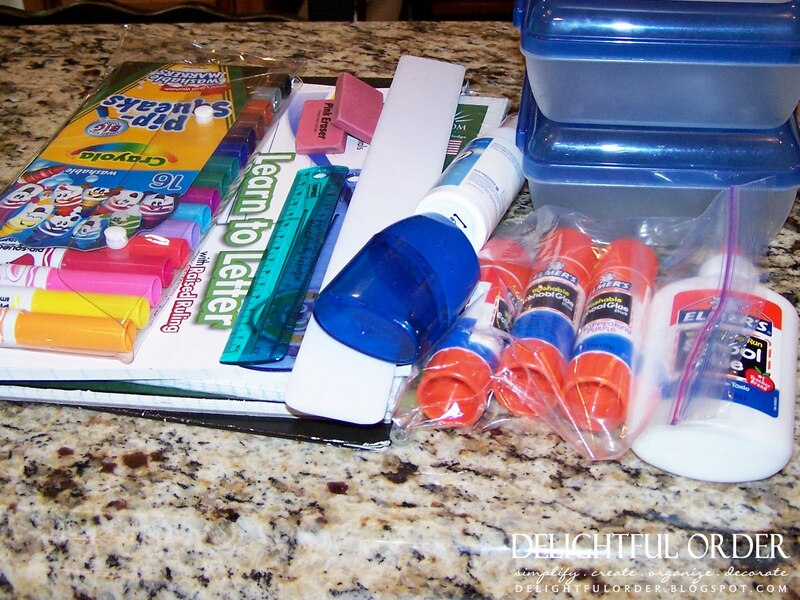 I'm excited about this, because, come August/September I hope to have a bunch of their supplies already on hand, thus creating a smaller school shopping bill. 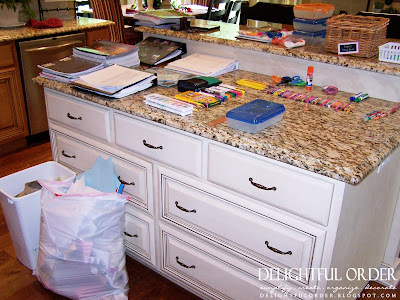 Do you spy those Chores Charts? I sell the printable charts in my Etsy shop. They've been one of my most popular sellers! My boys have been using the charts for a number of months and I'm telling you - It has been SO awesome!! View my original Chores Chart post (HERE) OR find them in my ETSY shop (HERE.) If your curious about those bins they are Awesome too! I got them from Walmart. I do have a LOT of future plans in a LOT of rooms in my home. Hopefully I can get this one finished soon. How about you - have your children finished school yet? Did they bring you oodles of papers and such? If so, what have you done with all of it? OR if not, what do you plan on doing with it all? Can you PLEASE come to my house & help me organize?? You are amazing! I am really impressed by how well you put everything together. Great job! 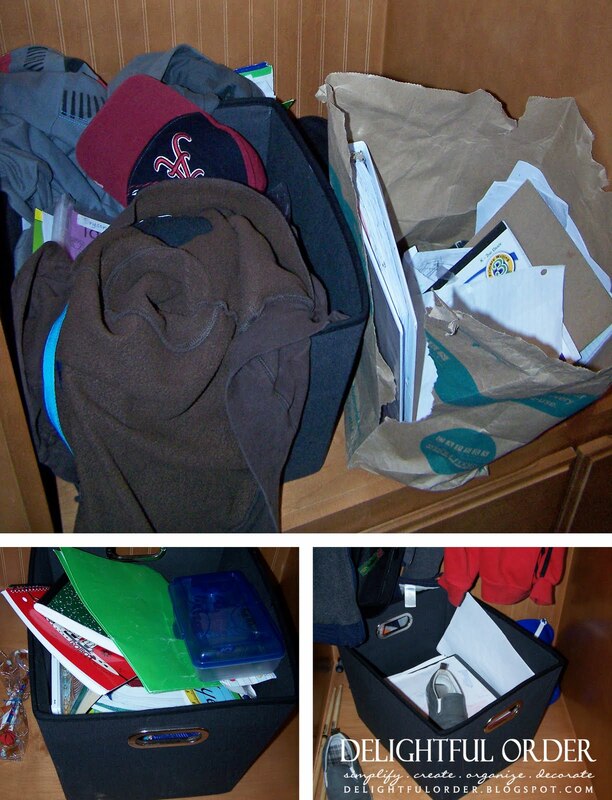 It's amazing that as organized as we can be, it can look a mess in just a few minutes! 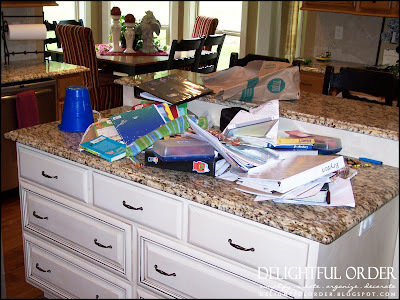 My kids had the same problem and we threw out a lot, as well! Your cubbies and back entrance are amazing! What an amazing space, I wish I had a space like this! I can't wait to check back an see the changes! Very useful post. 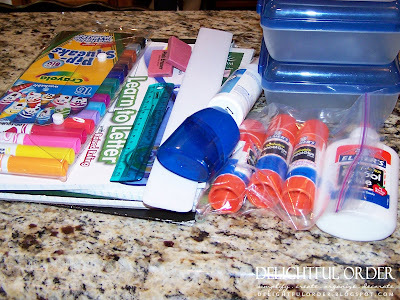 Oh, I can't wait for my 3 kids to shlepp all of their school things home, art work, backpacks, and stuff out of their lockers. Oy! I try to tackle it all the same evening. Oh... how I love your entry way! 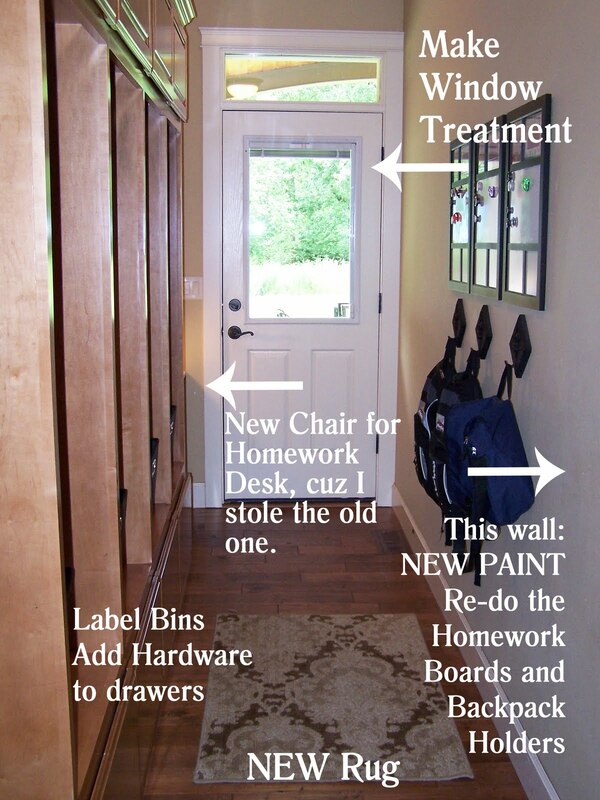 That kind of wall cubby system is in my dream home! It is so amazing how much kids bring in those doors from school isn't it? What a great space. My son and I are still tweaking our homeschool room. Thanks for the great ideas. I think I have one of those clear boxes stashed away. Think I will get it out and use it again. 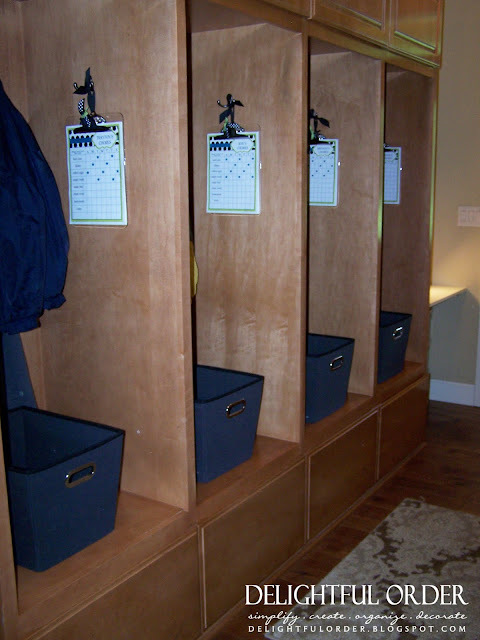 Great idea with the files for the school year....what is written on the little hanging up tags int he cubbies- is it a checklist? Wow! Those cubbies look great! You are all ready for next year!! What a great feeling, just starting your summer vacation! This is so fantastic!! I thought things were bad with just one boy's backpack let alone 3! 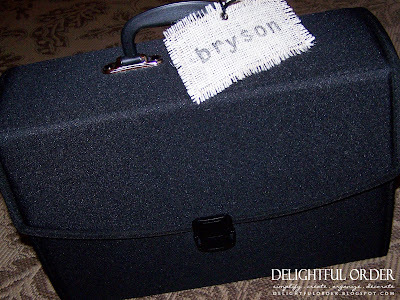 :-) I still have his extra bag of stuff sitting in the utility closet. LOL! 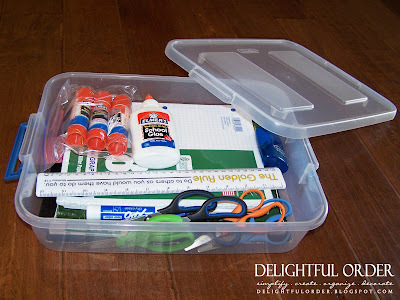 I love the idea of the file boxes and will definitely be doing that. Thank you so much for sharing this with us at Inspiration Friday last weekend and we hope to see lots more of you in the future! Awesome!m thank you for sharing! We STILL have a pile of last school years last day of school stuff! Our boys went back to school a week and a ha,f ago! This post has inspired me to go through that pi,e TODAY!